Another image of the Grand Canyon. We still talk about our trip out west back in September. It was wonderful to be together to explore parts of the country that we have never seen before, to see family and, enjoy road tripping! when a sand storm comes through…we were in one over 30 years ago heading out to Tucson, which is a beautiful drive filled with great scenery…but that day (I was driving), and we turned to prayer immediately since we were in heavy traffic, big trucks and so on. To pull off the road was considered, but did not seem wise, whatsoever. It was nice to breathe again after it stopped…about 20 minutes later!!! 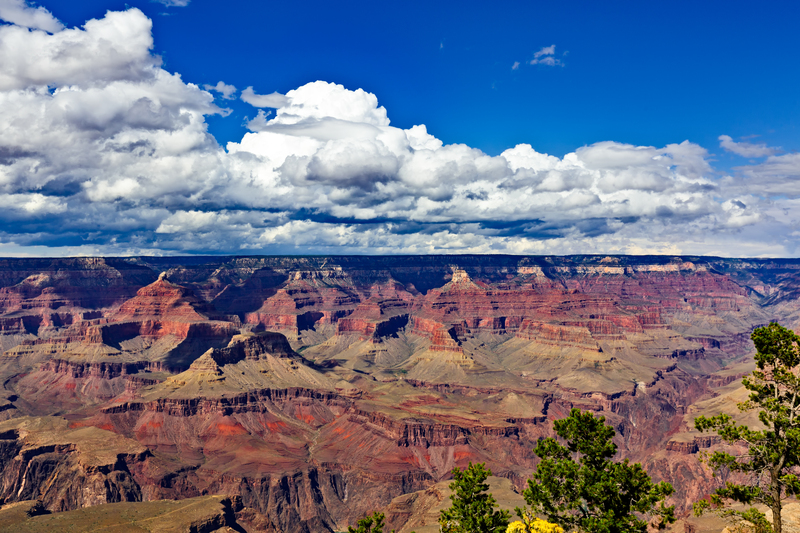 You caught the Grand Canyon’s spectacular beauty 100%; hope you can get back to the area sometime in the future….it will call you! !